My skin felt brighter, tighter, and clearer after the mask. My pores looked nonexistent. I keep it on for around 15-20 minutes. It takes a bit of elbow grease to remove: what I do is use water and a little bit of coconut oil or vitamin e oil. This way, I am retaining the moisture, and the mask comes off very easily (no scrubbing). Masks are fun because they feel indulgent. It’s not something I do every day. It’s something I do to treat myself, when I’ve had a long week. It’s just an added little step to my beauty routine to keep myself feeling special. And that’s why this is a great present for yourself or someone you love! Every now and then, a gal has to take herself to the spa. Invest in a good headband and enjoy. That little green tube stood out to me among all the natural beauty bounty in the Whole Foods skincare section, I think, because I never use masks. (Can you tell Kathryne and I are sisters?) I always forego them to spend my money on something more necessary and practical. But with a deep love for Acure Organics in my heart (I was already enchanted by their argan oil at this time) and a Whole Foods gift card in my hand, I took the plunge. And now I’m writing about this fabulous mask on our blog because I absolutely love it and will buy it again, if I ever brave the serpentine lines at the Whole Foods in downtown DC again. Let’s break it down. 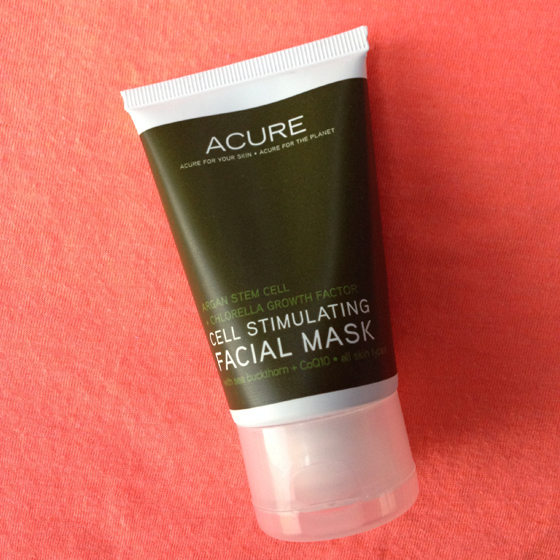 This mask is a deep, vivid green and feels cool and thick when applying to skin. It dries fairly quickly and should be rinsed off after 10-15 minutes. Like the S.W. 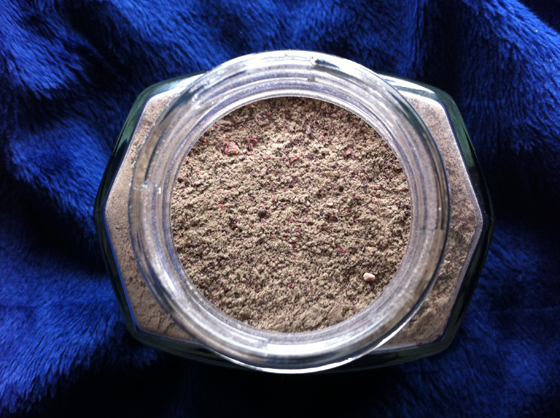 Basics mask, it contains French green clay which draws out impurities and makes skin feel exceptionally clean. For me, this mask refines my pores and gives my face a glowing, polished, exfoliated appearance. Emphasis on the glowing. The first time I used this mask, I was feeling lethargic and under-slept (OK, I was hungover). This magic mask perked my skin right up! For that reason, I recommend using this baby before special occasions so that the world can observe your temporary gleam. It’s not drying: the mask contains nourishing argan oil and seabuckthorn oil. When I’m rinsing the mask off, it becomes slippery in my hands and I massage it into my face, then splash it off with water. Acure’s product description states that Moroccan argan stem cells and chlorella growth factor spur cell revitalization. Let me reiterate: Chlorella, not to be confused with CHOLERA, which is how I first read it. (!!!) Anyway, chlorella is a type of algae that packs in loads of benefits (including being rich in DNA and RNA…science-y!) and gives the mask its green color. Go on girrrrl, get your mask on! Or make fun of me n’ Kathryne wearing ours. What’s your favorite mask? And can we see a hilarious photo of you wearing it? I am also very to sorry that your sentence” chlorella is a type of algae that packs in loads of benefits (including being rich in DNA and RNA” )….is incorrect and does not make sense. (I have a scientific background:-)). Hope you like the Acure mask as much as I did! Thanks for your explanation butmy opinion remains the same. A growth factor is a protein, therefore it cannot contains in any cases contains RNA or DNA. This is really inaccurate. Thanks for linking the link. I like very much Acure but on this case, the information written on their site is obviously not written by a scientist, that is for sure. I hope to get time to write to them and point it out . I was thinking, “c’mon guys where’s the silly mask picture at? !” Ah, theeeere it is Are you guys officially into masks now? They’re only the BEST. HAHA. If Kathryne and I lived closer, I have a feeling there would be a lot more goofy mask pics on this blog…and yes, I’m officially a convert! My skincare routine was nothing short of spartan before I started this blog, now my medicine cabinet is full of all the bells and whistles. Masks = the good lifeeee. Thanks for the review! 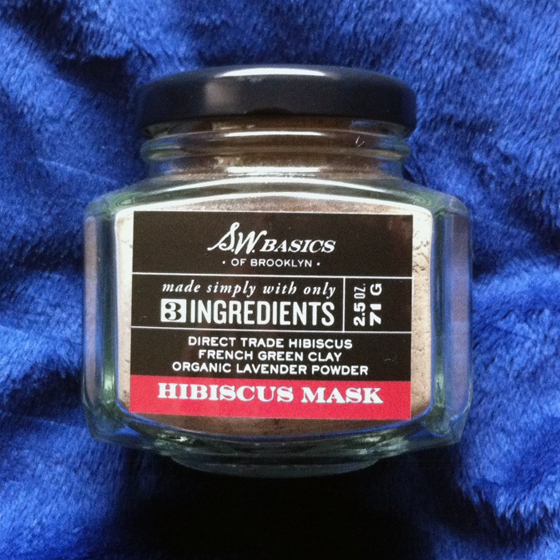 These 2 masks have been on my radar the longest time, especially the S.W Basics Hibiscus Mask. I’m also lazy when it comes to masks but good ones really benefit the skin! Currently I only have 2 masks on rotation: Andalou Naturals pumpkin glycolic and May Lindstrom the problem solver. RU- I have been wanted to try a product with pumpkin in it for some time- thanks for the tip, that sounds AMAZING!